Dated and received the 2l3t January 1942. Dated the 21st January 1942. 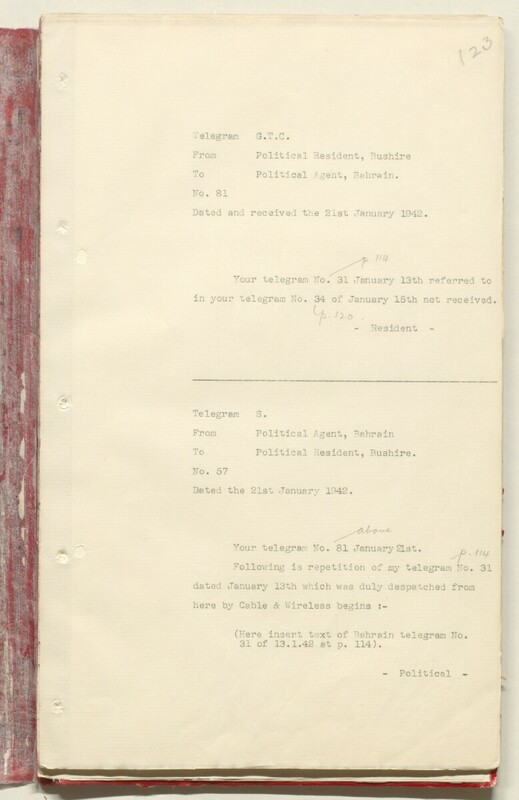 (Here insert text of Bahrain telegram No. 31 of 13.1.42 at p. 114).